Richard Andrew Lampman was born on 25 November 1921 at Burlington, PA. He was the son of Ezra Henry Lampman and Nancy Lydia Williams. Richard Andrew Lampman died Mary 15, 1992 at Luthers Mills, PA. He was buried at Bradford Memorial Park, Luthers Mills, PA.
George Williams Lampman was born on 2 March 1923. He was the son of Ezra Henry Lampman and Nancy Lydia Williams. George Williams Lampman died on 30 August 1993 at Luthers Mills, PA, at age 70. He was buried at Bradford Memorial Park, Luthers Mills, PA.
Allen Levi Lampman was born on 11 January 1926. He was the son of Ezra Henry Lampman and Nancy Lydia Williams. Bonnie Lynn Lampman was born on 3 April 1954 at Elmira, NY. She was the daughter of Allen Levi Lampman and Mary Louise Field. There is some disagreement between McPherson and the DAR records of 9937. McPherson shows that Ruhamah is the daughter of Jonathan, while the DAR records show that Ruhamah is the daughter of Benjamin Parsons and Miriam Winslow. On August 23, 1805 Ruhamah wrote a letter to her friend Elizabeth Case back home in Granby describing what to expect when she moved to Ohio. It was printed in The Ohio Frontier, an Anthology of Early Writings, edited by Emily Foster, and reprinted in the SBHS News in April 2005. [S25] Hannah McPherson, Holcombe Genealogy, Page 154.1/Item A-8-1-6-1-6. [S312] Virginia Mccormick, Scioto Company Descendants, Page 134. Johnathan Parsons was the son of Benjamin Parsons. Johnathan Parsons married Mary Merrick, daughter of Joseph Merrick. Gerald J. Parsons, Fellow, American Society of Genealogists, in a letter dated 19 September 1998, notes that the original will of Jonathan Parsons is on file in Box 110, No. 8, at the Hampshire County Registry of Probate in Northampton, Mass. Abstract of the will of Jonathan Parsons of West Springfield, dated 17, Oct. 1801; probated 18 July 1810. Son Israel (given real estate in the Town of Granville). Dau. Ruhama, wife of Levi "Hayse"
Witnesses: Justin Ely, Saml. Lathrop, Thos (H?) Brace, Justin Ely, Junr. Mary Merrick was the daughter of Joseph Merrick. Mary Merrick married Johnathan Parsons, son of Benjamin Parsons. William Parsons married Margaret Hoskins. Benjamin Parsons was born at England. He was the son of William Parsons and Margaret Hoskins. Benjamin Parsons was baptized on 1 May 1625 at St. Mary's Church, Beaminster, County Dorset, England. He married Sarah Vore, daughter of Richard Vore and Ann (? ), on 6 October 1653 at Windsor, Hartford Co., CT. Benjamin Parsons married Sarah Heald on 21 February 1676/77 at Springfield, Hampden Co., MA. Benjamin Parsons died on 24 August 1689 at Springfield, Hampden Co., MA. [S150] Gerald James Parsons, "unknown short article title." Margaret Hoskins married William Parsons. Sarah Vore was born circa 1635 at probably Dorchester, MA. She was the daughter of Richard Vore and Ann (?) Sarah Vore married Benjamin Parsons, son of William Parsons and Margaret Hoskins, on 6 October 1653 at Windsor, Hartford Co., CT. Sarah Vore died on 1 January 1675/76 at Springfield, Hampden Co., MA. Sarah Heald married Benjamin Parsons, son of William Parsons and Margaret Hoskins, on 21 February 1676/77 at Springfield, Hampden Co., MA. Sarah Heald died on 23 November 1711 at Springfield, Hampden Co., MA. Deacon Ebenezer Parsons was born on 17 November 1668 at Springfield, Hampden Co., MA. 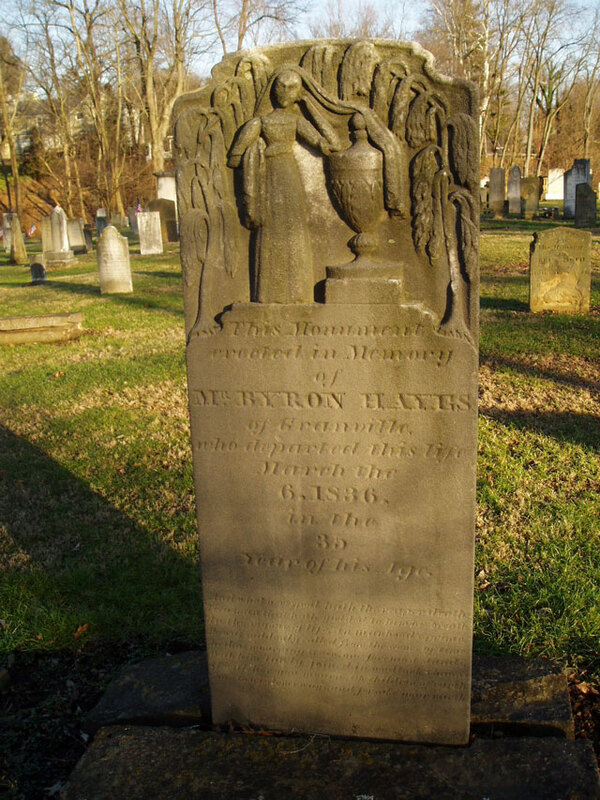 He was the son of Benjamin Parsons and Sarah Vore. Deacon Ebenezer Parsons married Margaret Marshfield, daughter of Josiah Marshfield and Catharine Chapin, on 10 April 1690 at Springfield, Hampden Co., MA. Deacon Ebenezer Parsons died on 12 September 1752 or 23 1752 at West Springfield, MA. He was buried at Old Meadow Cemetery, West Springfield, MA. Margaret Marshfield was born on 3 December 1670 at Springfield, Hampden Co., MA. She was the daughter of Josiah Marshfield and Catharine Chapin. Margaret Marshfield married Deacon Ebenezer Parsons, son of Benjamin Parsons and Sarah Vore, on 10 April 1690 at Springfield, Hampden Co., MA. 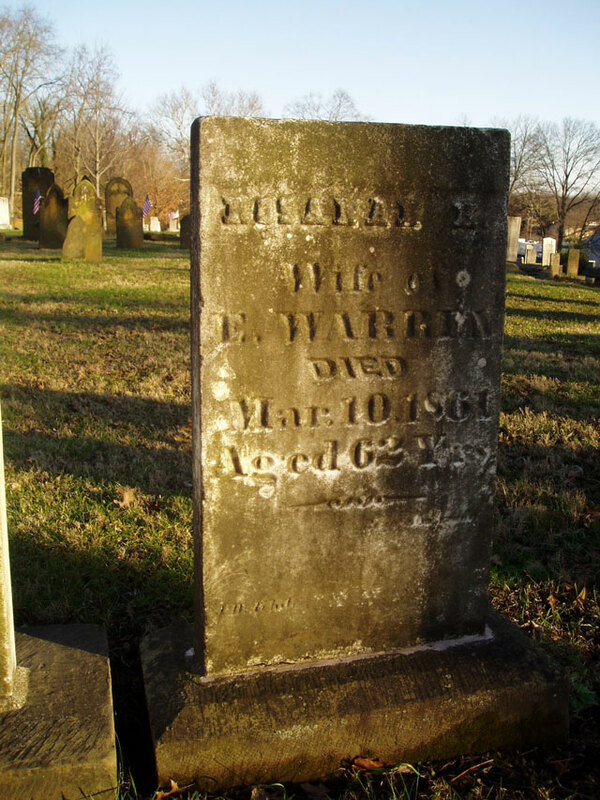 Margaret Marshfield died on 12 June 1758 at West Springfield, MA, at age 87. She was buried at Old Meadow Cemetery, West Springfield, MA. James E. Holcombe was the son of Jesse Robert Holcombe and Cecil Detamore. James E. Holcombe died at in WWII. Benjamin Parsons was the son of Deacon Ebenezer Parsons and Margaret Marshfield. Levi Loring Hayes was born on 2 August 1788 at Granby, Hartford Co., CT. He was the son of Levi Hayes and Ruhamah Parsons. Levi Loring Hayes died at St. Augustine, FL. [S25] Hannah McPherson, Holcombe Genealogy, Page 154.1/Item A-8-1-6-1-6-1. Orlin was a soldier in the War of 1812; studied at Williams College, 1816; became a Presbyterian minister in the Southern States. [S25] Hannah McPherson, Holcombe Genealogy, Page 154.1/Item A-8-1-6-1-6-2. [S312] Virginia Mccormick, Scioto Company Descendants, Page 135. Ruhamah Hayes was born on 1 December 1792 at Granby, Hartford Co., CT.1 She was the daughter of Levi Hayes and Ruhamah Parsons. Ruhamah Hayes married Hezekiah Kilbourn on 6 December 1819 at Licking Co., OH.1 Ruhamah Hayes died. [S312] Virginia Mccormick, Scioto Company Descendants, Page 136. [S312] Virginia Mccormick, Scioto Company Descendants.